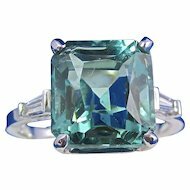 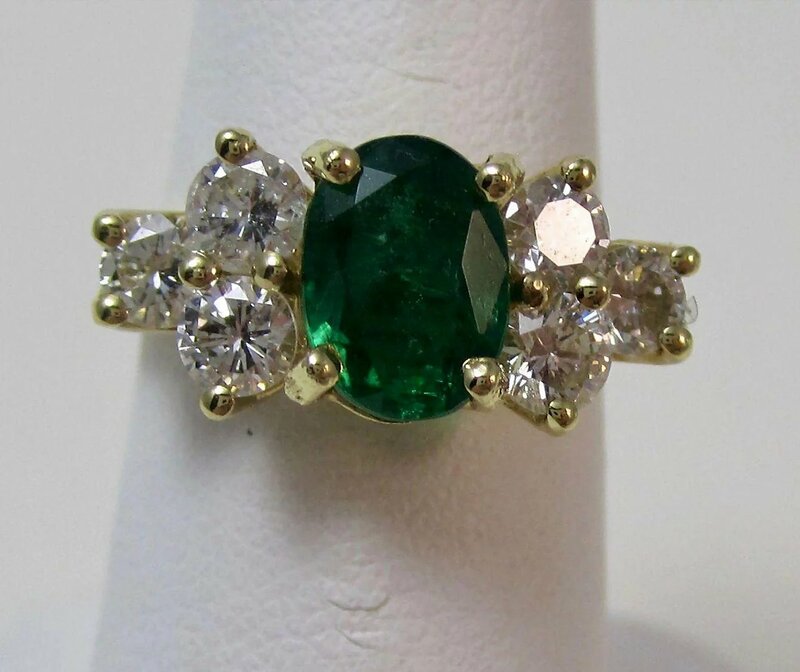 What a fabulous emerald and diamond ring this is, the perfect ring to place on her finger if you are proposing or getting married. 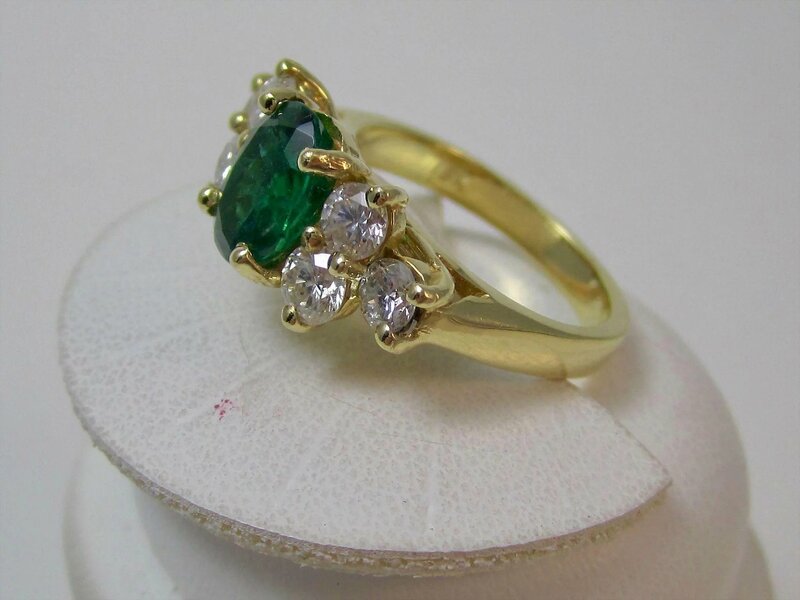 There is something so special about emeralds that many brides are choosing them for their special day. 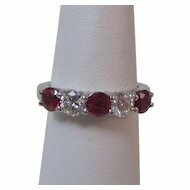 Or if you're a May baby, you will wear this ring each and every day. 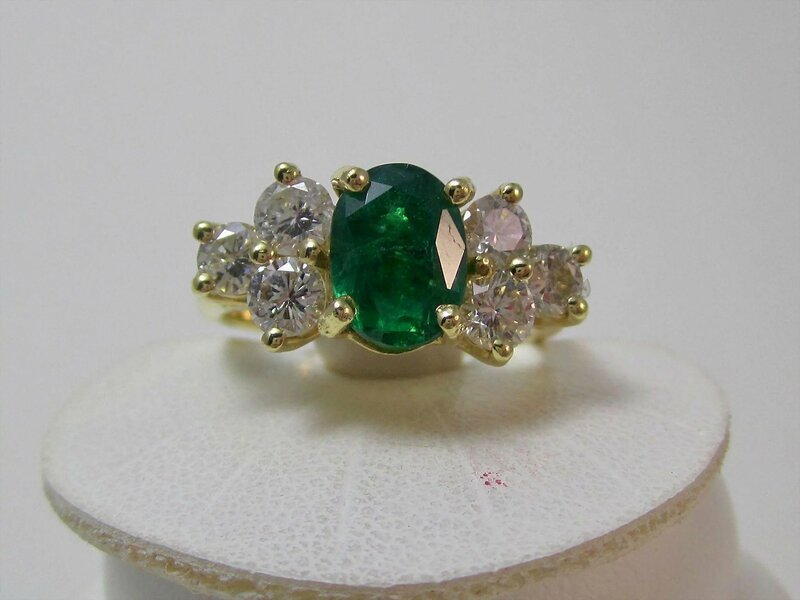 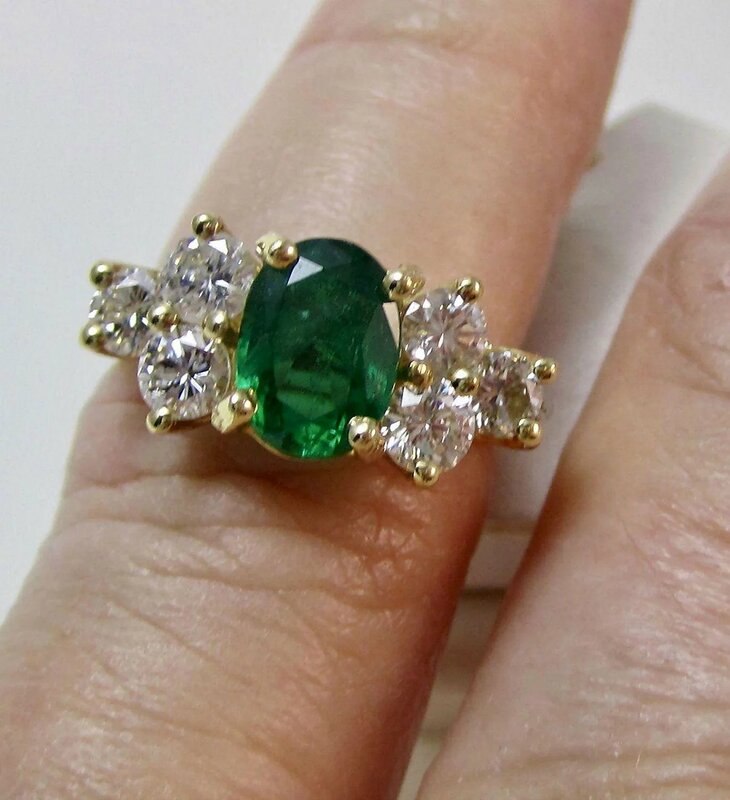 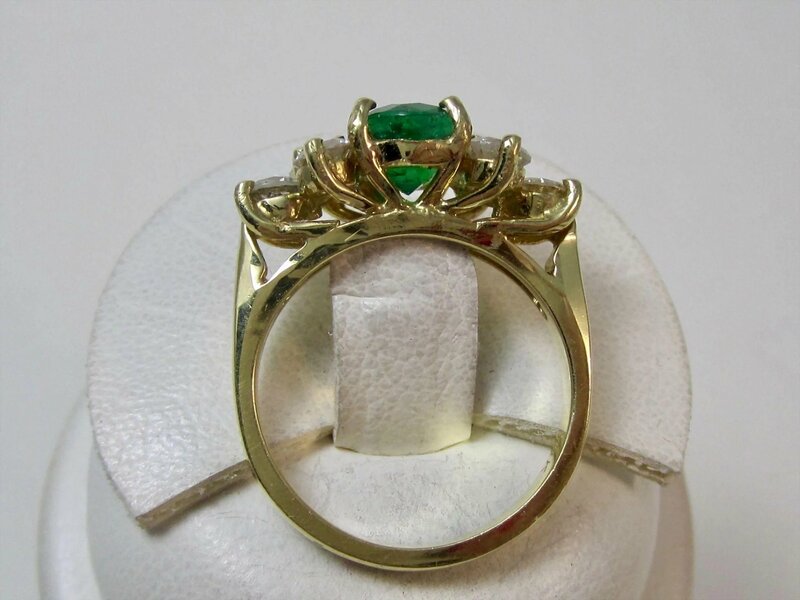 The gorgeous rich luscious emerald green color of the emerald, its beautiful setting with beautiful diamonds on each side of the center stone, the luxurious 18K gold setting of this exquisite ring make it a very special piece. 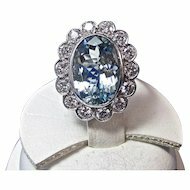 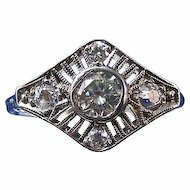 Lucky you if you're choosing this amazing ring for yourself! 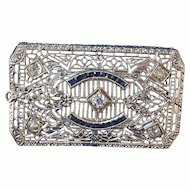 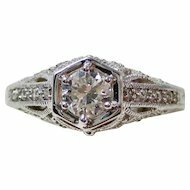 Lucky her if you're proposing with this fabulous ring in your pocket! 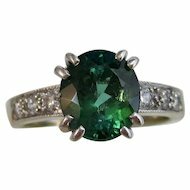 There is one prong set oval modified brilliant cut natural Zambian emerald weighing approximately 1.20 carats, with medium dark saturation, moderately strong deep green color, with a very good cut. 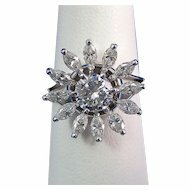 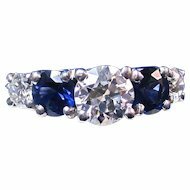 Surrounding the center stone are six prong set round brilliant cut diamonds, weighing approximately 94/100 of a carat, with bright H/I color, lovely SI1-2 clarity, with a good cut. 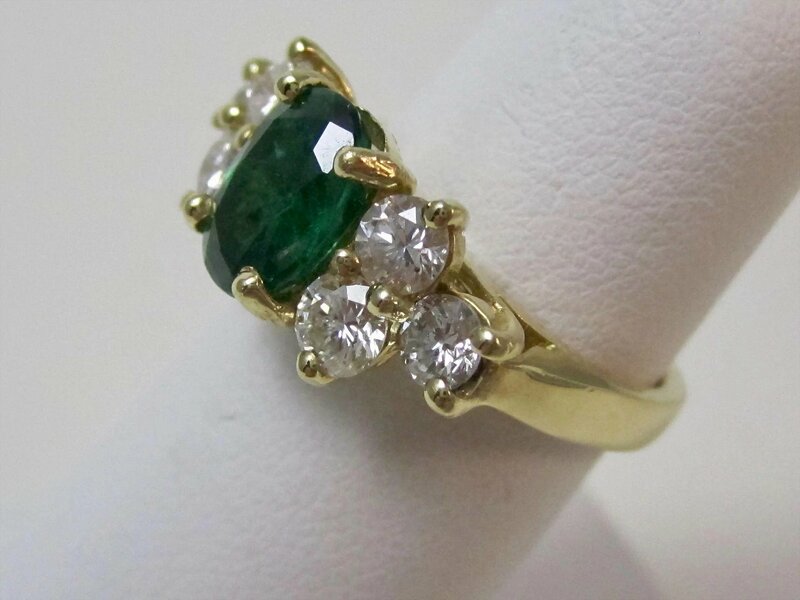 The ring is set in a stamped & tested luxurious 18K yellow gold setting, meaning it has 75% fineness of pure gold, measuring 3/4 of an inch from east to west, 5/16ths of an inch from top to bottom, & sits up 1/4 of an inch from the finger. 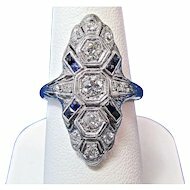 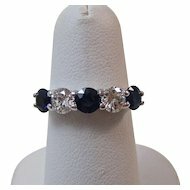 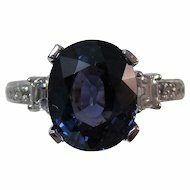 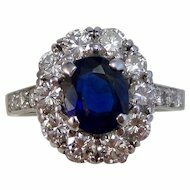 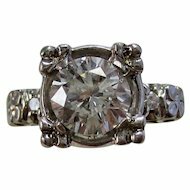 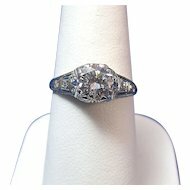 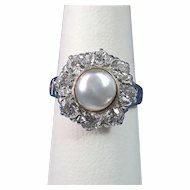 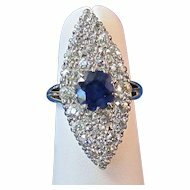 The ring is size 6 1/4, & can be easily sized up or down by a good jeweler. 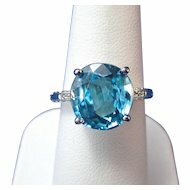 The total piece weighs 6.05 grams.